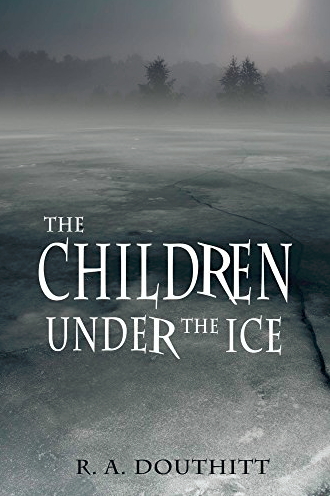 The ASU Book Group's September 2018 reading selection is "The Children Under the Ice" by R.A. Douthitt. The book group is open to all in the ASU community and meets monthly from noon–1 p.m. in the Piper Writers House on ASU's Tempe campus. Authors are always present. A no-host luncheon follows at the University Club. Attendees at each meeting will be entered into a drawing for a $50 gift certificate! Drawing to be held in April. Synopsis: Twelve year old Mikey hates hockey, but loves newspaper reporting, he's quirky that way. One night, Mikey discovers the newspaper story of a lifetime when he falls through the ice of the Sherman Oaks Pond and sees the ghosts of children with a secret. And that's when everything falls apart. No one believes Mikey's story, not even his dad, the town Sheriff. Now Mikey has to let go and trust a ghost to help him solve a crime. Can you trust a ghost to solve a crime? Mikey has to solve the crime and convince the town his story is true before the killer strikes again. Will he do it? Or will the killer get to him first? Douthitt graduated from ASU with a degree in art. This young-adult novel is part of a trilogy, which includes "The Children in the Garden" and "The Children of Manor House." Oct. 31 - Bill Konigsberg, "The Porcupine of Truth"
Nov. 28 - Valerie Bandura (Finn), "Human Interest"
Jan. 30 - Devoney Looser, "The Making of Jane Austen"
Feb. 27 - Tracy Fessenden, "Religion Around Billie Holiday"
Mar. 27 - Kelli Donley, "Counting Coup"
Apr. 24 - Natalie Diaz, "When My Brother Was an Aztec"
Wednesday, Sep. 26, 2018, 12-1 p.m.